The changing states of matter: The physical property of substances that enables solids, liquids and gases can change their states under certain conditions. 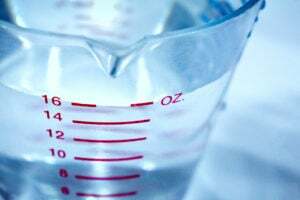 Density: The physical property of substances that is the measurement of mass in respect to and in a relationship with volume. Boiling point: The physical property of substances that is the point at which a liquid changes into a vapor. Melting point: The physical property of substances that is the temperature at which a solid transforms and changes into a liquid. Conductivity: The physical property of substances that is the measure of a substance's ability, or lack of ability, to conduct electricity. Heat capacity: The physical property of substances that is the amount of heat that must be added or taken away from a substance to achieve a certain temperature. Malleability: The physical property of substances that is the degree of a solid's ability to change its shape and form under stress. Tensile stress: The stress that is applied to the solid in respect to its malleability. The unique and distinctive properties of substances differentiate them from other substances with their own unique and distinctive properties. Some of the unique and distinctive properties of substances are physical and others are chemical. Many of the physical properties of substances vary according to the amount of the substance and other physical properties of substances do not vary according to the amount of the substance. For example, the mass and volume do not vary according to the amount of the substance; but, boiling point, melting point, malleability, conductivity and heat capacity do vary according to the amount of the substance. The extensive properties of substances are those properties, like mass and volume, are those properties of substances that vary according to the size of the substance; and the intensive properties of substances, like boiling point, melting point, malleability, conductivity and heat capacity, are those properties of substances that do NOT vary according to the size of the substance. The physical properties of substances are those properties that can be seen and observed and the chemical properties of substances are those properties that occur as the result of a chemical reaction and change the component of the substance. Matter, including solids, liquids and gases can change their states under certain conditions. For example, water can change into the gaseous water vapor with evaporation and under conditions of increasing temperature and ice will change from a solid to a liquid when the temperature is sufficient enough to melt it. Simply stated, mass is the amount of matter that is found in a substance. It is not the weight of the substance. Technically, mass is the resistance of an object to movement when a force is applied. Mass is expressed in terms of kilograms (kg). Density can vary according to the temperature and the pressure that the matter is exposed to. This variation is more pronounced with gases than it is with solids and liquids. The application of increasing temperature decreases its density because its volume increases with increasing temperatures; and the application of increasing pressure increases density because the volume decreases with increasing pressure. Volume is the measurement of the quantity or amount of matter in a three dimensional space. Solids, liquids, gases and plasma have volumes with a positive correlation with the amount of the matter and the size of the container. The larger the amount of matter and the larger the container, the greater the volume. The boiling point is the point at which a liquid changes into a vapor. The boiling point is expressed in terms of Fahrenheit or centigrade temperature. The boiling point will vary according to the pressure that surrounds it in its container. The higher the surrounding pressure, the higher the boiling point for that liquid; and the lower the surrounding pressure, the lower the boiling point of the liquid. For example, in the mile high city of Denver, the atmospheric pressure is low and considerably lower than the atmospheric pressure is on a seaside island like Hilton Head. So, when you are boiling water in Denver it will boil at a lower temperature and quicker than it will take when you are boiling water on Hilton Head because the boiling point of water is lower in Denver as the result of its low atmospheric pressure and the boiling point of water on Hilton Head is higher because the atmospheric pressure at sea level is higher than that in the mountains. Your pasta will cook quicker in Denver than it will on Hilton Head. Different liquids vary in terms of their boiling points. 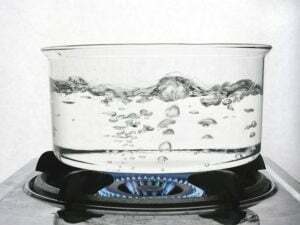 For example, the boiling point of water at sea level is 212 degrees Fahrenheit and at 100 degrees centigrade but other liquids may boil at only a higher temperature. Simply stated, the melting point is the temperature at which a solid transforms and changes into a liquid. The melting point is also impacted by atmospheric temperature. The opposite concept to the melting point is the freezing point of a liquid at which it changes into a solid. When considering water, ice will melt and turn to water at a certain temperature and water will turn into solid ice at a certain temperature. Conductivity is the measure of a substance's ability, or lack of ability, to conduct electricity. Some matter has a high level of conductivity and other matter has a high level of resistance to the conduction of electricity. Simply stated, heat capacity is the amount of heat that must be added or taken away from a substance to achieve a certain temperature. Heat capacity is also referred to as thermal capacity and the amount of heat that is added or taken away is measured in terms of joules per kelvin. Again, simply stated, malleability is defined as the degree of a solid's ability to change its shape and form under stress. This stress that is applied to the solid is referred to as tensile stress. For example, metals like tin can be hammered and easily changed in terms of its shape and form when subjected to this hammer tensile stressor; while other substances like steel are highly resistance to tensile stress.